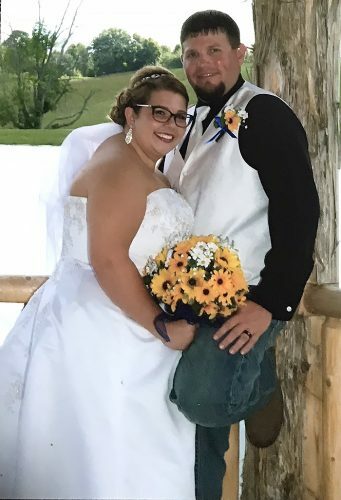 IRONDALE – The Glenn Family Farm in Irondale was the setting for the June 4 wedding that united Marcus Rawson and Alysanna Glenn in marriage. The 11:30 a.m. ceremony was celebrated by Pastor Mark Thomas. 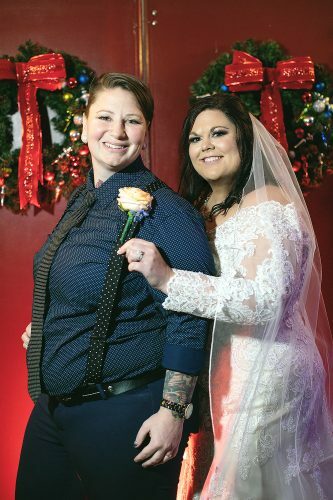 Escorted to the altar and given in marriage by her parents, John and Nike Glenn of Irondale, the bride chose an ivory tulle gown adorned with crystals and pearls. She carried a bouquet of sunflowers and pheasant feathers. The groom is the son of John Rawson of Toronto and Amy Rawson of Hammondsville. 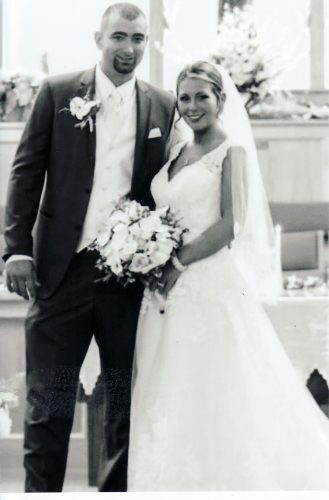 Jordan Byrley of Wintersville was the maid of honor. 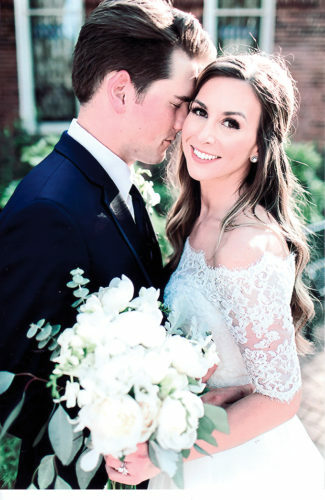 Nicholas Glenn, brother of the bride, was the best man, and Logan Glenn, brother of the bride, served as a groomsman. After the ceremony, the family celebrated with a cake reception. 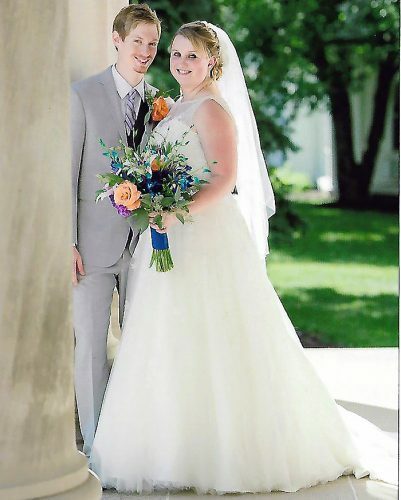 The bride is a 2012 graduate of Edison Local High School and a 2015 graduate of Franciscan University of Steubenville with a bachelor’s degree in mathematics. The groom is a 2012 graduate of Edison Local High School and a 2015 graduate of Eastern Gateway Community College with an associate degree in mechanical engineering. He is employed by Land Clearing Specialists in McDonald, Pa.